How Do I Serve a Complaint or Petition? What is Service by Private Process? What if the Person I am Serving is in Jail? What Happens After the Document is Served? "Service of Process" is making sure the other side gets a copy of the papers you are filing (for example, a complaint). If you are starting a case, your case cannot go forward until the other side is served with your complaint. Someone who is over 18 years old and is not a party to the law suit may give service. The person who is responsible for service must physically give a copy of all necessary forms to the person whom you filed a complaint against in court (the defendant). It is very important that you serve the defendant properly. If you do not, the court may dismiss your case. NOTE: Throughout the rest of the case, you will also be required to make sure that all other parties are "served" with copies of almost any document you file in the case. For more information about ongoing service requirements, see Service and Certificates of Service. The court will issue a Writ of Summons, 5 to 10 days after you file your Complaint or Petition. The Clerk of the Court will send the Writ of Summons to your mailing address, if you are the person who filed the document. You will have to attach the original copy of the summons to the packet of forms that you filed with the court (Complaint, Domestic Case Information Report, Financial Statement, etc.). You must make sure that the Writ of Summons is attached to a copy of the complaint, petition, or motion. These papers must be served on the other side. In District Court, there is another convenient option. As long as your case is one where service can be made by certified mail, you can pay the clerk's office a fee to do that mailing for you. See below for more information about service by certified mail. YOU CANNOT SERVE THE OTHER SIDE YOURSELF. Whichever method you choose, you must also provide the court with proof that the other side was served. A person can be served at home, at work, or anywhere else the person happens to be. One of the county sheriff's or constable's responsibilities is serving defendants in civil suits. The fee for this service is usually about $40.00. 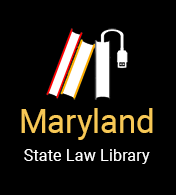 Service fees are located on the Maryland Judiciary Website. District Court fees are the same throughout the state, but Circuit Court fees can vary. If you decide to pay for this service you can ask the Clerk of Court (person with who you will file your complaint) what the cost for the service is. It is your responsibility to find out whether or not the person has been served. The sheriff will send the clerk a "return of service" to prove the sheriff served the papers. You may have to call the Clerk several times before the other party gets served. There are two ways to serve someone by private process: (1) by a private process serving company for a fee or (2) by an adult over the age of 18 who is not a party to the suit. You CANNOT serve the papers yourself. If you are representing yourself in a case of divorce, custody, visitation, child support, alimony, name changes or contempt, you must use the domestic relations forms CCDR 55 and CCDR 56 located on the Circuit Court website. This is an inexpensive way to serve someone. THE PRIVATE PROCESS SERVER CANNOT BE YOU. The adult serving the papers must give the papers directly to the other side. The adult serving the papers may NOT leave the package on the other side’s doorstep, however they can leave it at the opposing party's home with someone else who lives in the same home, as long at the person you leave it with is "of suitable age and discretion." While the courts have not explained exactly what "suitable age and discretion" means, the person should not be a minor, and should be able to understand that the papers need to be given to the defendant. It is better to serve someone who is close to the opposing party rather than someone who is not, even if they live at the same residence. When serving the opposing party directly, the service package need not be placed directly in the other side’s hands, they just need to be given notice that they are being served and given the documents. With this method, the server can even leave the documents at their feet, and it is still proper service. The person who served the other party must complete an Affidavit of Service (Private Process, CCDR 55 for cases of divorce, custody, visitation, child support, alimony, name changes or contempt). You must file the Affidavit of Service along with a copy of the Writ of Summons with the Clerk of Court in order to prove the other side was served. This is a good method of service if the other side lives far from you. It does require that the other side accept the papers and personally sign the receipt (green card). The adult serving the papers (remember, this cannot be you) should take the papers to the Post Office and follow the instructions for mailing by certified mail, restricted delivery, return receipt requested. The adult must fill out an Affidavit (the judiciary has a form for self-represented litigants in domestic relations cases - CCDR 56) indicating that he or she mailed the papers and the other party received them. If the other side receives the papers, the receipt (green card) will be returned to you with the other side's signature. Attach the receipt (green card) and a copy of the Writ of Summons to the completed Affidavit, and file the Affidavit with the Clerk of Court as proof that the other side received the papers. There are some problems with this type of service. Hostile opposing parties will not want to, and may refuse to sign for the letters or will simply not go to the post office to pick them up. In these cases, other service methods such as by sheriff or by private service would be preferable. If the receipt (green card) is returned with the wrong signature or if the entire envelope comes back undelivered, you will have to make another attempt at service or see an attorney. Make sure to keep notes and records for all of your attempts to serve the party, whether these attempts are successful or not. If you have problems serving a party by certified mail you can contact the sheriff of the county where the party lives. You should explain to the sheriff that you have been unsuccessful at serving the party by mail and request their help. Ask the sheriff what the cost is for this service and if there are any other requirements. A blank certificate of service and or certificate of evasion of service may have to be mailed to the sheriff. If you are serving a counterclaim with your answer, you may serve the counterclaim (including all other domestic relations forms you have attached to the counterclaim) by mailing copies of everything to the other side. Fill in the Certificate of Service at the bottom of the counterclaim. Do not forget to file the counterclaim and all the forms attached to the counterclaim with the Clerk of Court. If the person you are serving is currently incarcerated you must obtain their inmate number. You can obtain this by calling the jail with the inmate’s social security number. You will need to have the person’s inmate number on all necessary documents. You should not serve an inmate by certified mail. The inmate will not be able to sign for the package and the court may find that the service was not valid. You must then file the Affidavit of Service with the court. You may have made several attempts to serve the other side using different methods. A Writ of Summons issued by the Circuit Court is only good for 60 days, so you must have the other party served within those 60 days. You will have to ask the Clerk of Court in writing to issue a new Writ of Summons if the other side has not been served within 60 days. A Writ of Summons issued by the District Court is only good for 30 days. If after several attempts to serve the other side you still are not successful, you may have to consider serving the other side through alternative methods, such as Posting or Publication. Service by Posting or Publication is only done when the person who has filed the documents has shown by affidavit that the whereabouts of the opposing party are unknown. Additionally, the person who has filed must show that reasonable efforts have been made in good faith to locate the opposing party. After those criteria have been satisfied, the court may order service by mailing a notice to the opposing party's last known address and by posting the notice by the sheriff at the courthouse door or on a bulletin board within its immediate vicinity. The court may also order the notice to be published at least once a week for three weeks in one or more newspapers circulated in the county where the action is pending. The person served has 30 days to answer if he or she is served in Maryland, 60 days to answer if he or she is served out of state, and 90 days to answer if he or she is served outside the United States. On the day your case is scheduled, make sure you are there early. Often you will need to check in with the court personnel in the courtroom prior to your hearing. If you are not there when your case is called, your case could be thrown out or the court could rule in favor of the other side. If you have to miss your court date because of an emergency, contact the court BEFORE you hearing is scheduled. You may be able to show the court documents or other evidence, such as pay stubs or pictures. On the date of your hearing, have your documents and other evidence with you, in order, and have extra copies (3 copies of each document is usually a safe number). The other side and his or her witnesses will also have a chance to tell his or her story and can present the same kinds of evidence. You will have a chance to cross-examine the other side and his or her witnesses. You can find more details here on how to prepare for your day in court. If you want additional information, print this page out and show the citation below to your local law librarian. He/she should be able to help you find this resource. 18 Md. L. Ency., Process. This material was originally created by Richard Granat, a Maryland private attorney, updated by Regina Strait, Esq.